A few months back, I wrote a guest post on Advice for a Twenty Something about two kitchen tools no quarter-century cook should be without. 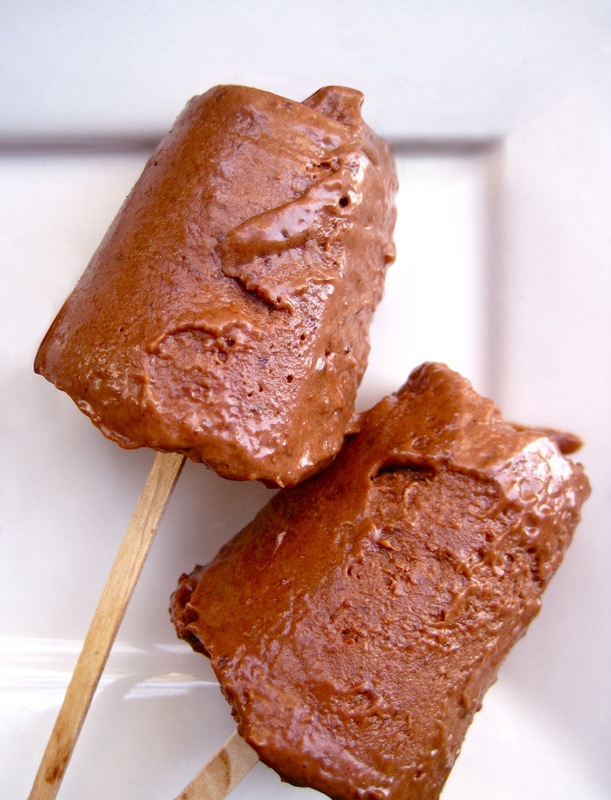 Guidance still standing, I want to amend the list to add one more essential gadget for the warm weather: popsicle molds, a must-have for these Chocolate Hazelnut Fudge Pops. A cold popsicle on a hot summer day is the definition of happiness. Don’t you have the fondest memories of being a little kid, licking and slurping and running around, a ring of syrupy color around your mouth flaunting the evidence? Pure sugar, on a stick—sometimes with a joke at the end! It was heavenly; childhood at it’s best. Just thinking about it brings contentment. So whether it’s adding alcohol over sugar to switch that cocktail to a “poptail”; flowers, lavender or elderberry fora floral flair, pairing fresh herbs with naturally sweet fruits, or a jolt of coffee or chai for an afternoon pick-me-up; there's a cornucopia of possibilities to flourish that frozen flavor—sans added sugar. Even for the nostalgically special classics. 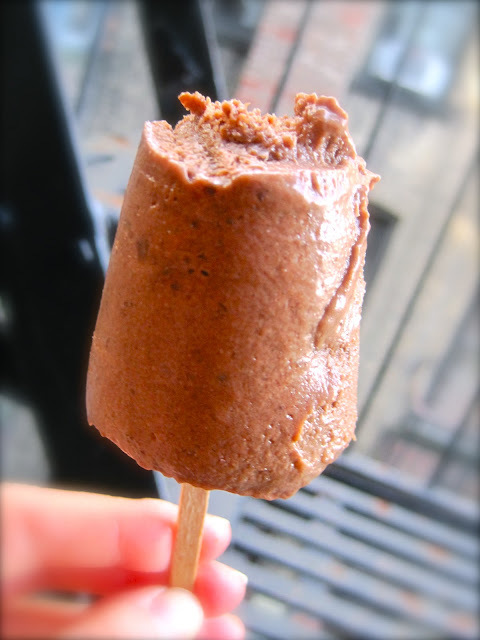 This Chocolate Hazelnut Fudge Pop brings it back to basics, channeling my inner child, lover of the fudgsicle. (Must! Have! 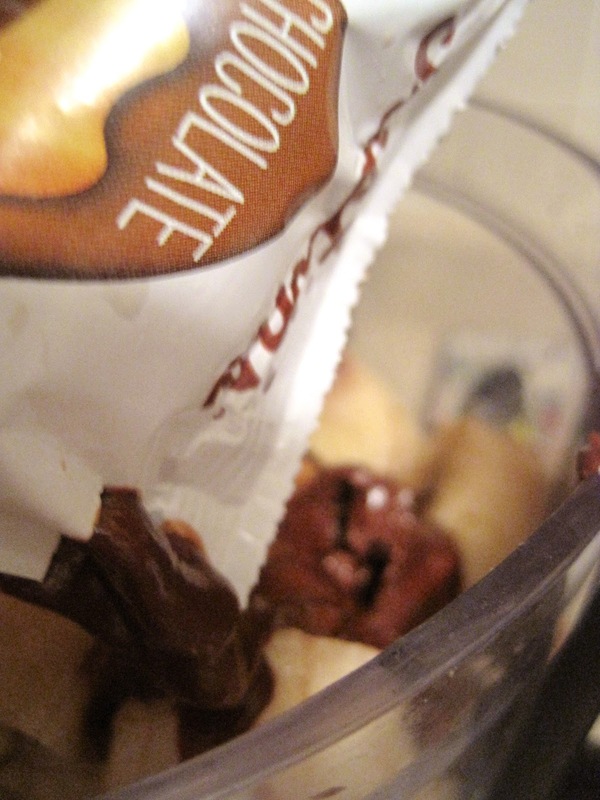 Chocolate!) 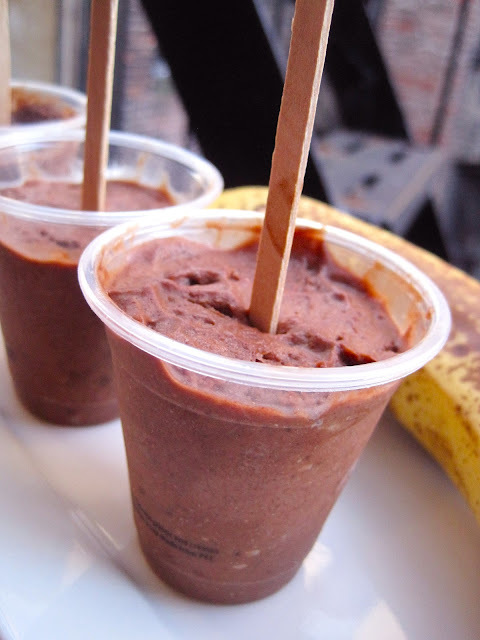 A more health-conscious, sugar-controlled version of the beloved traditional, this recipe uses frozen bananas to help create the appropriate texture without adding cals, and sugar is limited to what exists in the chocolate-hazelnut spread. (True to my eat-less-sugar credo, I am not using the words chocolate-hazelnut spread and Nutella interchangeably, as most of us associate automatically. This is because 2 tablespoons of Nutella contain 20g of sugar, while Justin’s all-natural, organic Chocolate Hazelnut Nut Butter only has 7g.) With only 4 ingredients total, this recipe provesthat less is more when it comes to producing the perfect popsicle. So there you have it: a dairy-free, antioxidant-loaded, healthy-fat, potassium-full fudgsicle that produces the same blissful euphoria as that firecracker pop from when you were a kid. Happy licking! I realized that chocolate-hazelnut butter does not freeze as solidly as water/fruit bases, and thus is not ideal for purchased molds, because it will not produce the right density to emerge in one piece. For these pops, the best way to go about them is to pack the batter tightly in bathroom-size paper cups, and peel the cup open after freezing. This way, the shape stays in tact because you are removing the mold from the pop, rather than removing the pop from the mold. Lustig, Robert H., MD. "What You Need to Know About Sugar." Time Ideas. Time, 27 Dec. 2012. Web. 14 May 2013.